Hi there, Shiota here. I’m the director of the MOSHI MOSHI BOX, the official Harajuku Tourist Information Center. A routine activity done often when travelling to places like Kyoto and Asakusa is to dress up in a kimono and walk the streets. 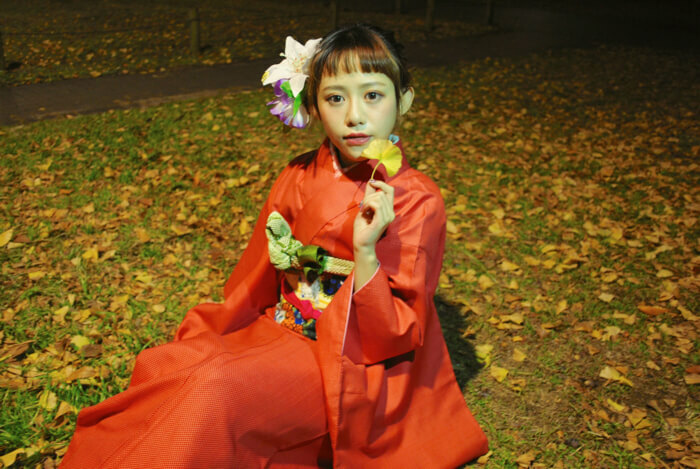 In fact, quite recently the number of kimono rental stores in Harajuku has been on the increase. 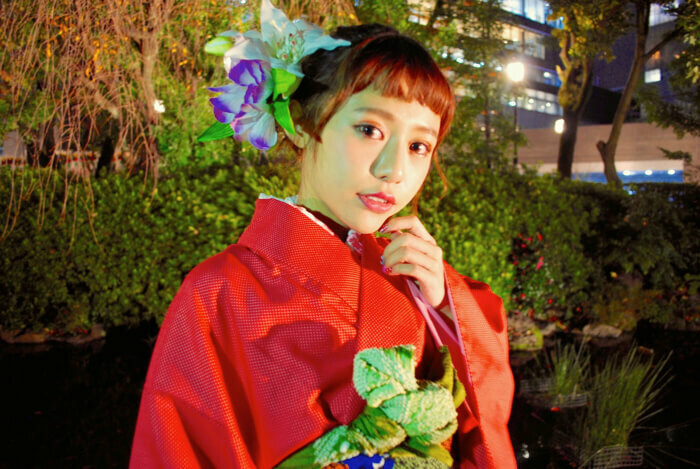 Today, immensely popular Taiwanese model kimi (紀ト心) is going to take us to see some great kimono spots around Tokyo. 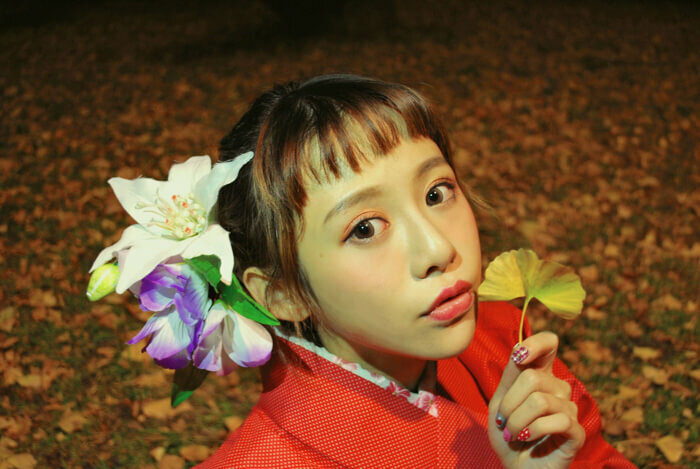 If we’re talking kimono rental in Harajuku, then look no further than the MOSHI MOSHI Kimono Salon! This spot is located inside the MOSHI MOSHI BOX Harajuku Tourist Information Center and offers a diverse range of kimono, from vintage wears to the kind of colourful garbs you’d expect to see in Harajuku. Whatever it is you’re looking for, you’ll be able to find it here. 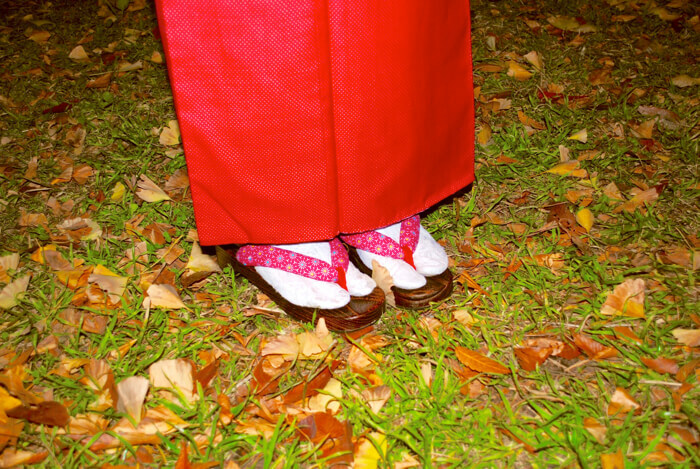 The kimono that kimi chose has small dots against red cloth. Since she’s a huge cat lover, the obi she picked was love at first sight. She left her hairstyle to the hair and make-up staff in the shop. A simple change of hairstyle made for a more glamorous feel. With her style complete, kimi’s cuteness took on a slightly more adult, mature look. Well, without further ado, let’s head on out to the streets of Harajuku! The first place kimi visited was the famous wall art that is popular right now. 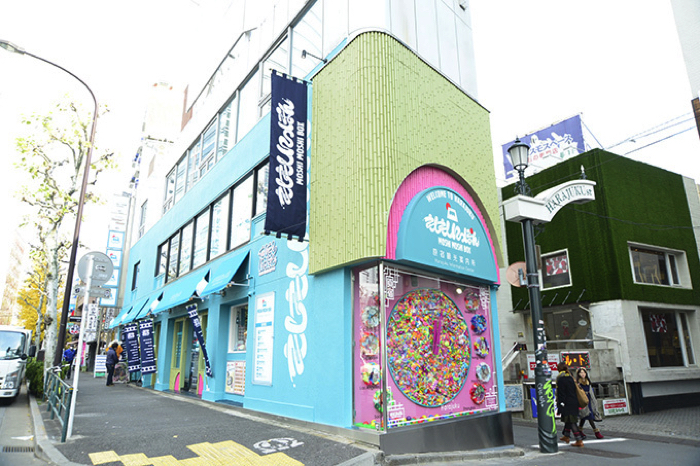 To find it, head down the street between Murasaki Sports and New Balance located along Meiji-Dori and walk to the end. kimi was a little hungry, so while on her way to see the wall art she stopped off at the ice cream shop Doubutsuen on the left-hand side of the street. She bought an electric bulb soda along with some sweets that are all the rage right now in Harajuku. We couldn’t fit every kawaii photo of kimi into the article as there are just too many, but you can find them over on her Instagram page so be sure to check them out as you read on. The next place she headed to was Yoyogi Park located next to Meiji Shrine. The park is famous for its very beautiful scenery; in spring the cherry blossoms flourish and in autumn the ginkgo trees shine. When we shot these photos, it was period when the leaves on the ginkgo trees fall. The sheet of yellow that stretches to a horizon was out of the world. There’s benches dotted all around the park, so you can relax if you need a break from walking in your kimono. You wouldn’t believe that Tōgō Shrine is situated in the middle of Harajuku. Despite being around the hustle and busy of the busy town, time flows quietly and calmly here. It’s also diagonally opposite to the MOSHI MOSHI BOX. It’s beautiful in the daytime, but its sacredness elevates when you see it lit up at night. Weddings are held here, so if you’re lucky, you might even catch a glimpse of a bride in traditional Japanese wedding attire. Did you enjoy your trip with kimi? If you’re thinking of renting a kimono in Harajuku, then be sure to use this article as reference. And if you’re lost or can’t find your way, then pop into the MOSHI MOSHI BOX. We’d be happy to help you!